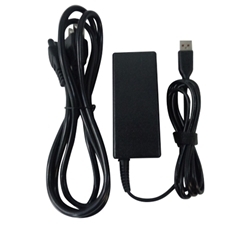 Description: New 65 watt 20V 3.25A high quality aftermarket laptop ac adapter charger with power cord. Compatible Part #'s: ADL65WLA, ADL65WDA, 5A10G68690, ADL65WDJ, 5A10G68691, ADL65WDB, 5A10G68680, ADL65WDD, 5A10G68683, ADL65WDG, 5A10G68685, ADL65WDE, 5A10G68687, ADL65WDC, 5A10G68671, ADL65WDH, 5A10G68673, ADL65WLA, 5A10G68677, ADL65WLB, 5A10G68672, ADL65WLC, 5A10G68675, ADL65WLD, 5A10G68679, ADL65WLE, 5A10G68684, ADL65WLF, 5A10G68670, ADL65WLG, 5A10G68674, ADL65WLH, 5A10G68678. Lenovo Yoga 700 14 **Only works w/ core i3 and i5 model laptops. It does not work w/ the Yoga 700 14 core i7 model.